Climate Change – how do we make a difference? 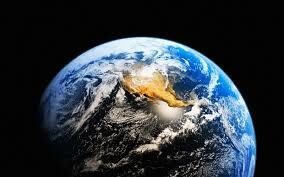 It is now 5 years since I ‘woke up’ to what was happening to our beautiful planet. Reports on the UN Climate Change Conference in Copenhagen were all over the media in 2009 and this caught my attention. I felt the need to do something about climate change and decided entering politics was the way I could try and make a difference. I joined the Green Party and stood as Parliamentary Candidate for East Devon in 2010. Since then I’ve stood for town, district and county councils and I’ve been a town councillor for Honiton Town council since 2011. 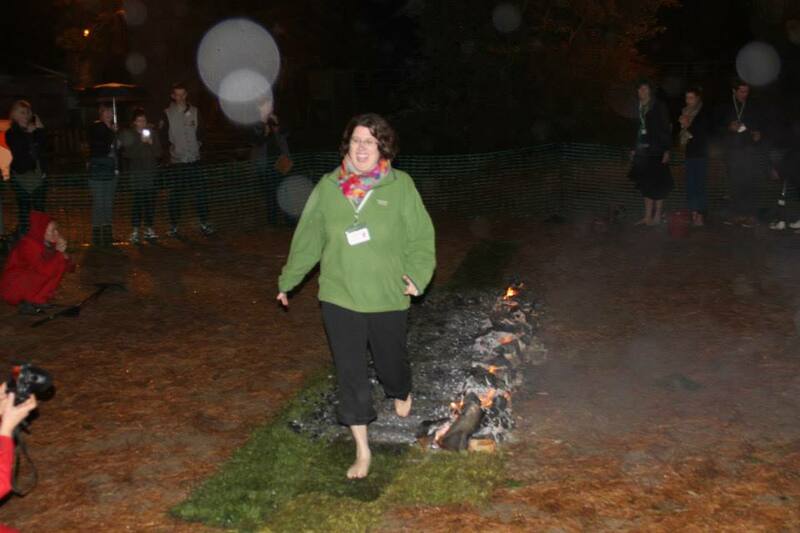 I was a founding member of East Devon Green Party in 2011 and helped set up Transition Town Honiton the same year. 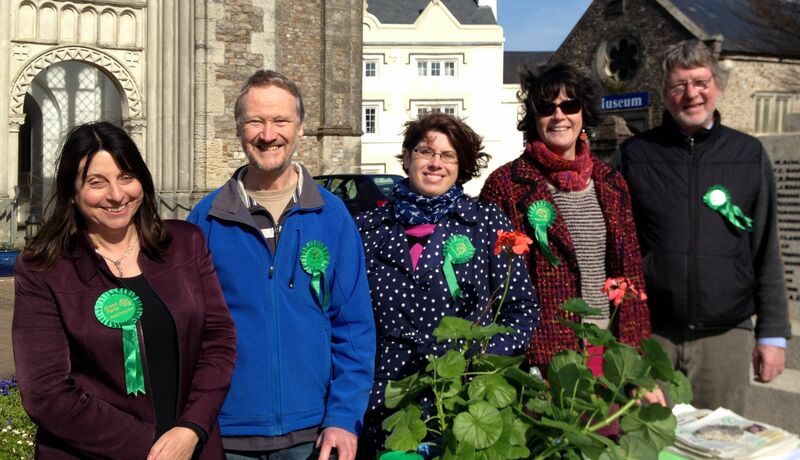 The East Devon Green Party has grown tenfold over the past three years and now has four members working hard as parish councillors. The support for the Green Party in this rural traditionally Tory area was illustrated in the results for Honiton St Michael’s last year, when I polled 25% in the Devon County Council elections. So……five years on I’m thinking, is being in politics the way to do something about climate change? I’d love to hear from you, please do leave a comment, I’d appreciate your thoughts. Looking for a voluntary job – can you spare 2 hours a month? We need you at Honiton Plough and Share Credit Union﻿. I am the volunteer co-ordinator for the branch which is basically an ethical community bank. They do savings accounts and loans but unlike these notorious payday lenders, they offer affordable loans to people who perhaps cannot easily get credit at a low rate elsewhere. We could do with a couple more volunteers – just to do one Tuesday morning every 4-6 weeks. This is from 9.45am until just after 12. There is training and it’s a great way to meet people too. Please get in touch if you’d like to know more – contact me. The Honiton Service Point is part of the Devon wide Plough and Share Credit Union which is regulated by the Prudential Regulation Authority and regulated by the Financial Conduct Authority and the Prudential Regulation Authority. Devon’s own Plough & Share Credit Union is celebrating having a service point in Honiton for a year now. Completely staffed by dedicated local volunteers, the service point is open once a week on a Tuesday from 10am – 12 midday in Honiton Library on New Street. 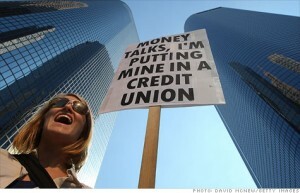 A Credit Union is a democratic, financial co-operative owned and controlled by its own members. 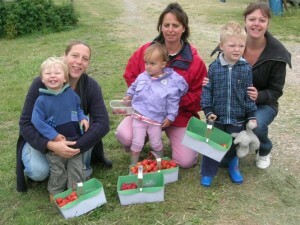 Full details about the credit union are available online on www.ploughandshare.co.uk or you can call Sharon on 07447 597390. For those of you who have heard of the Axminster based HALFF charity, I don’t need to tell you what amazing work they do – they really need your help to get an award worth £5000 they’ve applied for. All you have to do is go to www.engagemutual.com/foundation/projects/halff-health-and-local-food-for-families register then vote for HALFF. I did it last week – it took less than 5 minutes. The voting deadline is 31st May 2014. HALFF are one of 250 applicants for a community award through Engage Mutual. There are 10 awards up for grabs, and HALFF have applied for £5,000. The grant will benefit children who for come from troubled families, so don’t have parents to cook for them, and vulnerable elderly people who are too frail to cook for themselves. Thanks for reading & don’t forget to vote – before tomorrow !!! 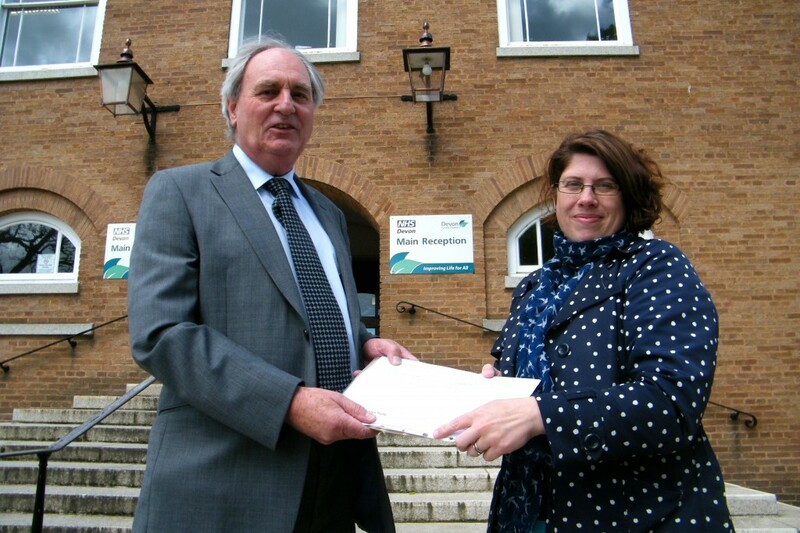 I handed in the petition today asking Devon County Council to maintain funding for the St. Michael’s Day Centre in Honiton and to resist pressure to cut services for the elderly and vulnerable people in our town. Pictured above with Leader of the council Cllr John Hart, who thanked me for the petition and told me that it will go forward as part of the consultation process. 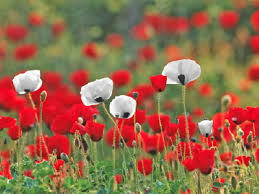 Thank you to everyone who signed the petition and helped collect names, we managed to get a total of 1,362 signatures. The next stage is a County Council meeting next Wednesday 14th May – which you can watch live on web cam or afterwards if you cannot make it. I was told today that no decisions are being made at this stage, just discussions on the consultation process. I did explain today that I am aware of several families who feel completely in the dark and would like to know more about what is happening. I was told that we would receive a formal response to the petition detailing what is happening. 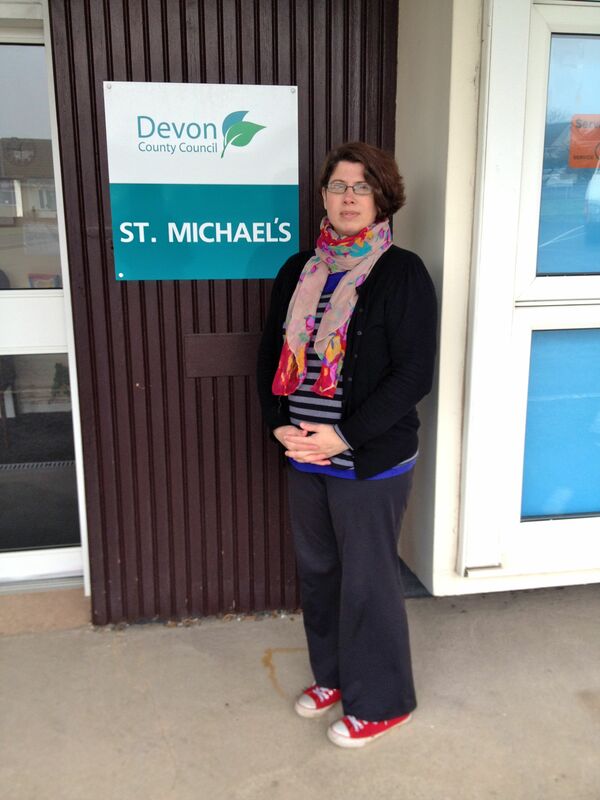 The East Devon Green Party launched a petition to save St Michael’s Day Centre in Honiton on Saturday 8th March. Members of the local party were astounded at the response as people flooded to the stall to sign once word got round the High Street that a petition had started to stop the much loved local centre from closing. Over 300 people signed the petition on Saturday morning with many commenting how disgusted and let down they are by Devon County Council. The day centre provides a much needed service for older residents in Honiton and is a lifeline for their carers who only have a few hours a week to themselves when their loved ones are using the centre. Several local town councillors have said they’re appalled at the plans to close the centre as have the local doctors surgery and Headway, a support group for people with brain injuries who use the centre. We have been hearing of people having problems accessing the petition via certain web browsers like Firefox. This has been reported to Devon County Council. If you are able to use Chrome or access the petition on a mobile phone, please do that or email me direct & I can post you a paper petition. Contact me. PLEASE NOTE ONLY DEVON RESIDENTS’ SIGNATURES WILL BE COUNTED ON THIS PETITION (but thank you to everyone else all over the world who has offered support). NEWSFLASH – As of Monday 17th March we have over 600 signatures on & offline combined but we need many many more – can you help take a petition round your street, your village, your workplace or put the link on Facebook – or help out at a street stall? Get in touch. Will Devon County Councillors protect badgers? 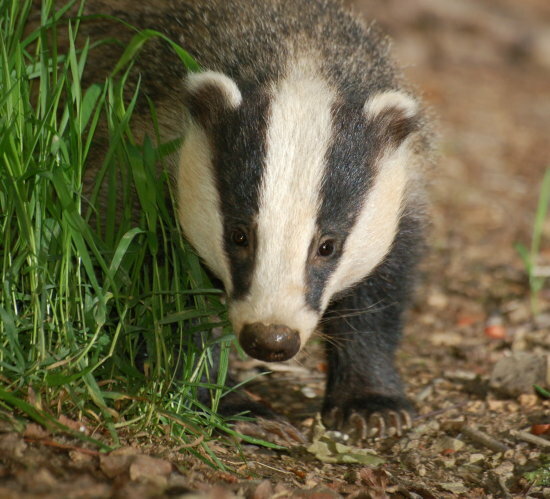 Labour Councillor Jill Owen (St David’s & St James – Exeter) proposed a motion to prevent badger culling on Devon County Council land arguing that the badger cull was ineffective and lacking in evidence, as well as inhumane. She proposed looking into alternatives such as vaccination instead. The cabinet was presented with a 6,000 name petition from 38 Degrees and various councillors spoke in favour of the motion. Just letting you know about an event happening this weekend in Honiton. Honiton Bygone Christmas takes place on Sunday 8th December from 10am until 4pm and is your opportunity to SHOP LOCAL this Season. What’s Happening……………..Live Music, Shops open, Pockets of Market Stalls and Family Events. Stalls located at The Baptist Church, Thelma Hulbert Gallery, St Paul’s Church, Hybrid Gallery, Black Lion Court. Wendy’s Cookshop and many independent retailers will be opening and welcoming everyone with mince pies and mulled wine.